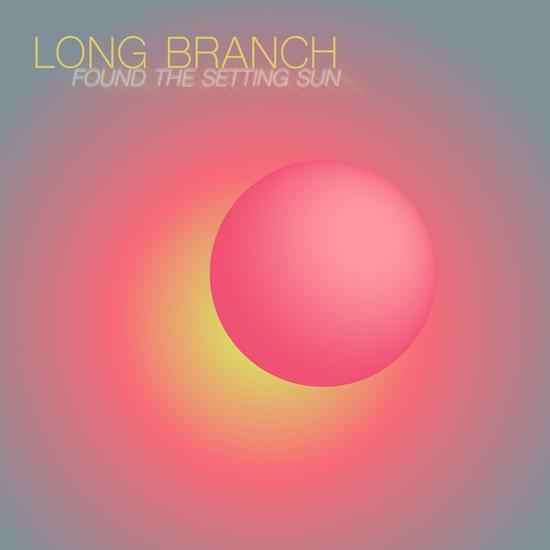 You'd be forgive if you thought you'd time-traveled back to the 90s while listening to Long Branch's debut LP. The Toronto-based band whips up a storm in a teacup with indie rock that is anchored in the low end and expansive in its reach. Found the Setting Sun shows us a versatile set of musicians that are equally happy with twang as they are experimenting with jazz-like time signatures. One gets the sense that Long Branch is ceaselessly searching for something that's just out of reach. But they are sure confident while they embark on the journey. While the album's title suggests peace, Found the Setting Sun mostly trades in anxiety. "2 AM," a jangle pop piece that recalls the Indigo Girls' harmonizing, is a peaceful ditty about insomnia. On the other hand, "Precious" is a loving dedication to an important mentor. The through line for the diversity of sounds and emotions the band works through are hooks you can hang a hat on and a rhythm section that refuses to lull you into complacency. Found the Setting Sun seems to be reconciling with aging -- the people and places we leave behind, the coulda-woulda-shouldas that haunt us at night. It might not always be a fun journey, but it's the one we've got. As Long Branch shows, even if you can't control what happens, you can push yourself beyond your boundaries to meet those mysteries head on. Thanks for reading! Long Branch will be featured on this week's episode of Adobe & Teardrops! Subscribe using your favorite app, get an extended cut by subscribing to our Patreon, or support us by dropping a tip in our Ko-fi cup!